Polaris solar PV net news: according to Bloomberg (Bloomberg) reported on February 8, Donald Trump, Adviser to the President of the United States recommended that the Department of energy to freeze a supported renewable energy projects and nuclear power project loan scheme. It is reported that Trump has been temporarily suspended by the Transitional Government to this loan support scheme, the quota for the scheme as much as $25 billion. Meanwhile, the Transitional Government have presented to the candidates for Energy Secretary RickPerry suspended in proposals for this. But it was reported that trump the Transitional Government still needs more time to decide whether to abolish the loan support program. United States Department of energy loan guarantee program to support a number of large-scale renewable energy project development, including NRG energy company responsible for the operation and maintenance of installed capacity of 392MW Ivanpah plant. Ivanpah plant is by far the world’s largest solar thermal power plant, the United States Department of energy $1.6 billion in loan guarantees. What do complementary pilot project model? Polaris solar PV net news: a Northwest Plateau of photovoltaic power stations for poverty alleviation situation shows that the policies aimed at benefiting 2 million poor families, faced a number of challenges in the actual operation. Average more than 3000 meters above sea level in Qinghai is a Highland provinces in Northwestern China, has an area of nearly three large, population of less than Britain’s one-tenth. With a total investment of around 30 billion scale photovoltaic projects for poverty alleviation in China, vast plateau meadows, in addition to the herdsmen’s tents, are seeing their big shiny photovoltaic panels. However China dialogue November survey found that combination of photovoltaic power generation and poverty alleviation, also faces a lot of uncertainty at the practical level. April 2015 in 471 counties gradually spread out of the country “PV poverty alleviation” projects, the principle is very simple: Government funding to help 2 million poor families to build distributed photovoltaic devices, issued except for personal use, can also be sold to the grid, to achieve increased income. But Beijing’s policy came to more than 1300 square kilometers, Qinghai, it becomes less easy. As early as two months before the country’s policy, decided in the 8 counties of the province, Qinghai 30 poor villages develop photovoltaic pilot project for poverty alleviation. Qinghai do have favorable conditions for the development of photovoltaic. On one hand, relatively thin atmosphere on the plateau and high daylight transmittance, combined with the arid climate, rainfall, solar energy resources are very abundant. Meanwhile, Qinghai has three large, a large number of desertified land suitable for laying of photovoltaic panels. Reuse of abandoned pastures to develop clean energy, it sounds too. Qinghai province in 2015 according to the photovoltaic pilot project for poverty alleviation programme, the province plans to use 150 MW photovoltaic project supporting poor 8333 for poverty alleviation. Generation of photovoltaic power plant proceeds deducted is not exempt from tax, paid to the poor. Follow the plan on paper, GUINAN County – one of the Lonely Planet travel guide as “transportation”, “rarely welcome visitors”, the vast majority of the population for Tibetan counties, was selected as the wooden beach 10 megawatts of photovoltaic power station project partners for poverty alleviation. 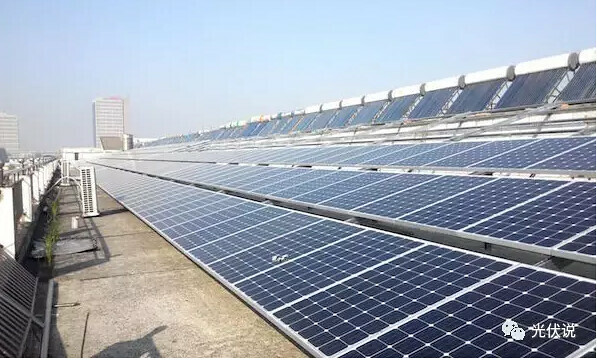 According to the plan, after the project is completed, 556 households, poor households can enjoy the PV power plant proceeds for poverty alleviation, per household income-generating 4000 Yuan per year. But China dialogue found that the policies were another power plant “reading”. Power plant employee master Chu told reporters that the plant directly to policy 4000 Yuan per household per year from electricity sales income to the families, the return of all remaining vested in the power plant. However, the reporter visited local herdsmen said, and heard it from Enterprise subsidies. In fact, more than one herdsman told reporters that they thought was this power station for “West to East” was built. To Helping the Needy, the objectives of the project are understood by local herdsmen to ease the pressures of electricity economically developed areas in the East. However, enterprises can benefit from this model is equally doubtful. ATD 4000 Yuan subsidy per year per household, this means that the plant annually needs to be fixed to 556 families involved in poverty alleviation projects totaling up to 2.22 million poor benefit, PV power station project construction, maintenance of personnel services and the later, baffling expenditures, compared to power this source of income. Return is not necessarily guaranteed. As with commercial PV, PV project price is also not enough to cover the high expenses depend on national and local renewable energy subsidies in order to turn a profit. However, renewable energy subsidies granted time to at present, PV industry has become the norm, two or three years in arrears fairly normal. In addition, the industry reduced the benchmark price of new energy is an inevitable trend. In November 2016, State grid electric river ice, Deputy General Manager of the company said that by 2024, China or cancel new energy new power subsidies. All enterprises involved in the PV area of poverty reduction to revenue pressures caused by these two issues. Chinese solar PV projects, Wang Fei, head of the group told reporters that the enterprise is not solely for the public interest organizations, logic was simple, first of all to profit. Obtained from the poverty alleviation programme of local Government much practical benefit, equally bad to say. Yi West Village has been built in PV power plant will not significantly drive the local economy, because solar power as a clean energy project also enjoy the local income tax “three against three reductions” (three years exemption and three-year reduction) offers 10-megawatt photovoltaic power plant covers an area of more than 380 acres, taking up over a period of 25 years, but will not generate sufficient tax revenue to local governments. In addition, the construction of power station is almost entirely foreign temporary workers, small-scale plant conservation after the grid only takes less than 10 employees, cannot stimulate local employment. More serious is that wooden beach PV may not even have the opportunity to face these problems. Has the basic completion of the power station, the planned September 30, 2016 put into operation generating, however, found in November, visits China dialogue, the grid-connected power station had not been achieved. According to the current power supply and demand situation and trend, national grid electricity trading center in the Northwest is expected in 2017 situation of oversupply of electricity will continue in the Northwest end of 2017, the total generating capacity of Northwest power grid, renewable energy generation capacity, new energy capacity will exceed the maximum load, when surplus electricity is about 150 billion-kilowatt for the year, nearly half of Britain a year in electricity. Experts say large-scale photovoltaic projects, or even worsen the already serious problem of peak load, resulting in abandoned. Qinghai has started to study the issue of the solution. November 2016, the national grid electric company, Qinghai province, China electric power Research Institute and other research institutes in Beijing, signed an agreement, agreement of cooperation to overcome PV absorptive, delivery, peak and other challenges. PV development in poor counties faced with knowledge and information gaps. Poor areas are often located in remote, education level, outside the generally less accepting of new technology city residents, how to make solar power really understood, accepted by locals, and eventually used effectively in GUINAN County of the Tibetan population is over 90% are also a problem. Of grassland and depend on each other, the herders of sheep and yak as a main source of income, for the perception of the environment is sensitive. Norbu’s teenage daughter Zhuo Ma saying, “don’t know behind the electric battery will destroy our pastures.” Solar panels is generally 10 cell 2 will need to be replaced. Emergence was born in concentration photovoltaic panels on the Meadow, herders in addition to worry that they will occupy the land can be used for grazing, curious about this great big shining equipment will also increase local temperatures. Tibetan guide said with a smile, the villagers ‘ concerns may be no scientific evidence, nomads but no one to explain in what way these panels in power generation, electricity generated to be used where, and what are the potential environmental effects of the project. As the Yangtze River, Yellow River and Lancang River source in Qinghai province, a fragile ecological environment and ecological restoration in the central to the provincial government’s policy had been emphasized. “Like eye protection, protection of the ecological environment”, “treated like life environment” and “guanghui is gold and silver” propaganda signs along the Highway can be seen everywhere. But a combination of clean energy and poverty alleviation, seemed most friendly harmless policy, have not been helped to fully understand, say that it is a pity. GUINAN PV poverty story has only just begun, and involved in PV from the same message coming from the poor Eastern Province of Anhui, has adopted this policy in different regions encounter challenges during the landing. In mountain area in Anhui Province, for example, some too old and poor housing conditions is simply not equipped to install photovoltaic panels, and the absorptive capacity of local power network of distributed PV is a cause for concern. Too many stakeholders involved, greatly influenced by energy markets and energy policy solar poverty alleviation, has just begun, its complexity have been quick to appear. However, Global Institute for energy and the environment and climate change project manager Yu Qingchan tell China dialogue, for its environmental and social benefits and win-win potential, such projects should also receive more attention. First complementary optimization demonstration projects a total of 23 projects, of which terminals integrated energy supply systems 17, wind-hydro-thermal storage can complement system 6. On February 4, issued by the State Council on printing and distributing the national land planning program (2016-2030), (hereinafter referred to as the platform) the platform points out that, on the premise of protecting the ecological, expanding the use of solar energy, new energy integrated utilization demonstration project, according to local conditions to advance new solar photovoltaic and solar thermal power generation, renewable energy development, increased share of non-fossil energy in total energy consumption. 1. our new energy into “built up” circle-how to solve? One is the increasing number of abandoned light wind up, increasing installed capacity on the one hand, new energy in our country more and more into a “built up” of the cycle: the long-standing problem of conveying to dissolve not only failed to mitigate, in the past two years but worsened. “Built up” behind the excess is a new energy crisis, huge investments in the vast wilderness in the sunshine. 2. with billions of subsidies drain the new energy has become a collective scam? In recent years, China’s booming new energy-generating capacity, wind power capacity is close to the global one-third. But a lot of costly devices built into the device, neither generate cleaner electricity nor a return to investors. Subsidies created by the new energy power generation into a big scam? Western media said, February 8 the European Commission proposal to extend the anti-dumping duties against Chinese solar panels for 18 months, instead of the original 24 months, while phasing out the tariffs starting from 2013. Are phased out, mainly taking into account depends on the material’s European businesses expressed concern. Smog City and locked climate, tide became the mainstream of global renewable energy development, policy guidance, support subsidies, capital chasing, photovoltaic and other new energy companies are on the way. But cards of conventional energy, competing under the Act, in terms of cost and technology, photovoltaic business of survival of the fittest has entered a period of accelerated. Key equipment of PV inverter PV power station, for example, 2012 up to 300 market-related enterprises in China, 2015 years to more than 100 companies, to the market in 2016 active PV inverter only has more than more than 10. Substantial investment in new energy, but doing “the Sun”. How to get out of the “built up” of the cycle, has become the province and the country’s new energy development one of the main tasks facing the electric power industry. Jiangxi provincial energy Bureau recently issued for the further strengthening of wind energy project development and construction management notice (hereinafter referred to as the notice) in order to avoid wind competition intensifies in the province. 7. the green certificate charge is no longer subsidized the enthusiasm of what? North China electric power University School of management Professor Yuan Jiahai told the CBN that 2017 would be purely voluntary transactions, new energy volunteers, all kinds of people to voluntarily purchase, price caps for all types of subsidies for renewable energy effectively. According to the implementation of the 2017, 2018 could put green card combines water and non-renewable energy mandatory quotas, so the enthusiasm of the demand and supply sides can really mobilized. Japan continued to thin solar demand shock not only to the weaker companies, manufacturers are not immune. CIS thin film factory SolarFrontier wounded in the deterioration of the environment, parent company of Showa Shell (Showa Shell) in recognition of 10.7 billion yen in special losses. Has just announced the termination of reorganization and then indicate timing again after 2 months will assets restructuring, what is going on here? Triumph of technology “abnormal” behavior has also been inquiries in the SSE. Japan’s electronics giant, sharp cut its annual loss to only us $329 million, after Foxconn shares rallied after the acquisition. However, sharp’s Solar Business Department still is not profitable. Announcement said that prior to this transaction, the company’s main product is super thin glass substrates. After this transaction, the company will be in business of ultra thin glass substrates on the basis of, the development of new energy glass business, rich and optimized product structure, new special function glass business bigger and stronger. Company’s future will further speed up the adjustment of product structure, enhance the pace of technological progress and the transformation and upgrading of actively responding to market competition and challenges, to strengthen the company’s ability to resist risks, market competitiveness and profitability. Principles can demand higher prices in China PV industry appears to have been inaccurate, recently reported by the hanwha energy out of 2.6 Yuan per watt Mono solar module prices and a new example. Two Chinese companies are in the famous Chernobyl nuclear accident site of a large solar-power stations should be built, this shows that investors in China helped push, using contaminated land development renewable energy or will become a global trend. The United States in order to actively promote the development of solar energy, launched the “shoot day plan” (Sun Sho tInitiative) to promote industry technology progress, reduce the cost of solar panels, one goal in 2020 and to minimize solar installation costs $1 per watt, but now is expected in 2017 will be brought forward in the first half target, ahead of Schedule 3. Poland for its new contracts for difference (CfD) subsidy project bidding, this is its first auction for renewable energy in Europe. Due to various technical problems and three-fourths items subscribe is not enough for bankruptcy haven’t recovered since the green certification projects of the country, the beginning is full of bumps. According to Bloomberg (Bloomberg) reported on February 8, Donald Trump, Adviser to the President of the United States recommended that the Department of energy to freeze a motion on supporting renewable energy project and the nuclear power project loan scheme. According to the Mexican Association of solar energy Asolmex the data show that in Mexico the second clean energy auction of 1.8 gigawatts of photovoltaic project contracts have been signed. At the auction, solar-price per megawatt hour (MWh) of $31.70, is by far the lowest price in the world. Polaris solar PV net news: on February 3, the State Council issued on trial basis renewable sources of energy-green power certificates issued and notice of voluntary subscription system (hereinafter referred to as the notice). New energy power generation gap has been subsidies, payment of subsidies appear less bothered by the situation or change. Recently, this reporter interviewed and hydropower planning and design of water conservancy Vice President Yi Yue chun, in his view, with the promotion of policy has intensified, society as a “green certificate” recognition step by step, China’s “green certificate” voluntary subscription will be very broad market prospects. “Green power certificate” (following referred to “green card”) is national on power Enterprise each MW Shi non-water can renewable energy Internet power issued of has only code identifies of electronic voucher, by national can renewable energy information management Center (following referred to “information center”) according to national energy Council related management provides, through national energy Council can renewable energy power project information management platform (following referred to “information platform”) to meet qualification of can renewable energy power Enterprise issued. Any enterprise and the public can voluntarily purchase “green certificate” as proof that consumption of green electricity, supports the development of green power. In the case of new energy power generation subsidy gap has been widening, the “green card” makes a lot of sense of new energy power generation enterprises is an injection of “boost” sell “green card” timely withdrawal of funds or will become the new choice for many new energy power generation enterprises. “Green card” in the scope only covers included in the list of State subsidies of onshore wind power and photovoltaic power generation (not distributed). The reason is, is because of risk prevention and control concerns. Easy jump Spring said: sea wind electric initial investment big, and construction cycle long, and investment risk high, implementation “green card” trading may to project returns brings must fluctuations risk; light hot power just started, also not into scale development stage, electric price policy also in exploration stage; distributed PV power in regulatory and power measurement Shang has must difficulty, and may on early of “green card” trading caused must impact; biological quality power technology type more, and the technology type electric price policy not same, environmental regulatory difficulty also larger. Therefore, these items were not considered for inclusion in the “green certificate” issued by the object. And land wind electric and PV power project, technology more mature, project scale in China non-water can renewable energy in the of share high, need national large subsidies support, early let these project participation “green card” trading helps promote industry sustainable development, so, the policy consider first will included national can renewable energy electric price additional grants directory within of land wind electric and PV power project (not containing distributed) as “green card” issued object is objective pragmatic of. Along with industrial development and technological progress in the future, consider distributed solar power, offshore wind energy and solar thermal power generation, biomass power generation projects issued by the progressive integration object. By the end of 2016, the cumulative subsidy funding gap had reached some 60 billion yuan, according to the existing subsidies, subsidies until 2020 the gap will expand to more than 300 billion yuan, the “green card” appears to better bridge the funding gap. Jump spring explained that China’s national conditions, China’s “green card” is still considered to be market based pricing, but not higher than the corresponding standards of State subsidies. In terms of subsidies, to purchase “green certificate” means the number to offset the subsidy margin, namely power plants to sell “green certificate” of the corresponding charge additional funds no longer qualify for the national renewable electricity price subsidies. Visible, the “green card” was not intended to replace State subsidies, but rather a means to increase the subsidies for new energy sources, it will, to a certain extent reduce pressure on State subsidies, especially to alleviate the current subsidy arrears situation, significantly reducing the financial cost. Meanwhile, new energy power generation enterprises also need to improve overall conversion efficiency through technological progress, through large scale management and competitive selection, cost reduction, so as to gradually reduce subsidies for new energy power needs. “Green certificate” voluntary subscription is to explore “green card” mechanism “pioneer” is the next step to implement “green card” mandatory Foundation deals save experience. “Green certificate” issued by the scope, duration, number of transactions restrictions, quota checking object key policy design needs to be considered, such as the new energy industry developments and existing price mechanisms to develop, and with industry developments, technology advances and electricity market reform constantly adjust and improve. For the current “green card” only once during the term of the provisions is determined based on the premise of fostering voluntary market. Easy jump spring explained said, consider to “green card” in voluntary subscription stage, main is as enterprise and personal participation green energy consumption, and governance air pollution, and upgrade its social image and social responsibility of main credentials, not need again trading, while for avoid “green card” trading early may exists of market hype behavior, the policy provides has “green card” by subscription Hou shall not again trading. The future of “green card” compulsory trades can be taken into account when allowing multiple transactions. See all over the world, the “green card” and mandatory quotas are at stake. Internationally, the “green card” system is usually renewable energy sources quota system policy, for example in the UK, Australia and other countries and some States in the United States, companies need to comply with quotas for renewable electricity sales provisions, in the sale of power will need to purchase a certain proportion of “green certificates”, “green card” gap you need to pay the fine. Jump spring that “green permit” mandatory cap and trade to establish a process, there is no specific timetable, depending on the specific circumstances in 2018, initiate. Mandatory cap and trade involves many issues, particularly on the subject of the assessment to determine, in the case of electricity market reforms have not been fully carried out, is to check the Government, users, selling the company or check power is a problem, need to be carefully studied by combined electricity market reforms to promote full decision. Meanwhile, taking into account the existing “green certificate” voluntary market transaction, if the voluntary market share is large enough, can effectively reduce the subsidy pressure, easing of fossil energy consumption resulted in environmental protection, the haze problem, start the urgency of green certificate mandatory cap and trade is not so strong, and vice versa. “Green card” as the consumption of green electricity, supports the development of green power certificate is not an empty promise. For businesses, community organizations and individuals, the “green certificate” are valuable. China’s solemn commitment to the world by 2020, achieve the goal of non-fossil energy consumption accounted for more than 15%. To achieve this goal, smog to effective governance, promoting the revolution in energy production and consumption in China, there is an urgent need to develop wind power, solar power and other green power. Supporting green power, is not a simple as chanting slogans, “green card” as the best support of green power products, are statistics and measurement, a “green card” corresponds to 1000 new energy power generation. “Green card” in enhancing the brand image and product publicity will also bring tangible benefits. Easy jump to Apple in the spring, for example about the “green certificate” for the role of corporate brand image. Apple’s brand, reputation, and their continued support of green electricity is important. Apple set 100% using green power goals, by the end of 2015 the company 93% of energy used from renewable sources. Apple’s approach is recognized by consumers, similar products, while Apple’s more expensive, consumers are still willing to choose their products, because in the eyes of consumers, the company has a stronger sense of social responsibility. In addition, the green electricity consumption in the field of public service has a natural advantage, as compared to the reforestation or other carbon reduction activities, purchasing green electricity consumption easier to measure, easy to monitor, easy to achieve good publicity. So for businesses, can produce good “advertising”. Currently, China “green card” market only just began established, for achieved on market of effective foster, except on green energy consumption of publicity outside, also need supporting developed corresponding of incentive measures, for example through green power certification give enterprise honors, and for subscription “green card” enterprise of products added posted green electric label, and for personal sales “mini green card”, way, are is upgrade enterprise social brand image, mobilization enterprise and personal more widely, and in-depth to participation “green card” subscription of enthusiasm of good approach. Meanwhile, China “along the way” strategy of economic development, could gradually be strengthened in the future “green certificate” international recognition of the label, achieve green electricity production enterprises of international traffic. Leap spring finally said, in China’s “green certificate” voluntary subscription policy was launched, many transnational corporations and domestic famous enterprises, advisory and other bodies have come in to purchase “green card”, and expressed a strong willingness to subscribe. The current “green certificate” relevant preparations have been complete, information platform to meet the requirement on July 1 this year of on-line transactions. Believe successful voluntary subscription market, bound for the next green certificate compulsory trading based on renewable energy quota system implemented to lay good foundation for public opinion, and to accumulate the necessary experience and technical strength. Polaris solar PV net news: Japan continued to thin solar energy demand shock not only to the weaker companies, manufacturers are not immune. CIS thin film factory SolarFrontier wounded in the deterioration of the environment, parent company of Showa Shell (Showa Shell) in recognition of 10.7 billion yen in special losses. The Nikkei BP reported, Showa Shell announced on February 6 that is recognized by SolarFrontier performance worsened the loss of 10.7 billion yen, recognized October 2016 to December of the calendar year during the fourth quarter. However, Showa Shell itself benefited from oil prices, inventory increases in asset values and other factors, overall revenue in the same period than originally anticipated. For the huge loss, SolarFrontier explained that it was because Japan worsening domestic environment, together with the international component lower prices result in lower revenues, recognize Miyazaki country rich in advance expected fixed asset impairment caused by the factory. The wealth of factory is a major production base of SolarFrontier. From 2016 begins to spread from China in the second half of the module price decline affected the global solar energy market, the United States, Japan, Taiwan and Europe have suffered. SolarFrontier, completion of the new plant in Fukushima, the wealth of the factory will be the “world’s top cost advantage” to continue to improve the capacity. In addition, SolarFrontier also strengthened into the benefits of residential solar markets in Japan, was published at the end of last year integrated CIS roofing system component integration SmaCIS series. Recently, the State grid released on 20 specific measures to promote new energy to dissolve, involving grid construction, the peaking capacity-building, planning and so on. Noteworthy is that State grid Corporation put forward a specific timetable for the first time, to 2017-2018 “abandon wind up” conflict has been effective, and new energy in 2020, the fundamental solution to dissolve the problem, so that the overall “abandon wind up” rate control within 5%. “Abandoning wind up” how serious? National Energy Board data showed first half of 2016, the national “abandon wind up” when you have reached 37.1 billion-kilowatt, continues to grow. 2016 five Northwestern provinces (districts) up wind, abandoned photoelectric at 26.225 billion kWh and 7.042 billion kWh, abandoned the wind 33.34%, abandon rates 19.81%. This overhang, Henan began to appear. Data shows that by 2015, the province approved capacity 4.73 million-kilowatt against the wind, rose 2.3858 million kW, the cumulative capacity under construction 3.82 million-kilowatt, rose 1.9141 million kilowatts. But at the same time, the actual number of hours of wind power industry in our province, but from 2013 to 2,202 hours, slipping to 2015 in 1793 to hours, and the downward trend is still continuing. In the photovoltaic field, the excess is intensifying. Provincial power company, in 2015, the province total on-grid PV 408,000 kW, output of 310 million kWh, 7 times for 2014, but abandoned the light phenomenon began, and even some projects to finish the outage. “Out there in the Sun. “Mr Liu said. To this end, the 20 initiatives by giving priority to arrange new energy delivery, vigorously promote energy alternatives, to carry out districts, landscape fire across regions combined, and new energy to dissolve into the provincial power company measures such as the content, focus on new energy power cuts. Mr Liu believes that move not only helps to improve the home, more critical is, to a large extent to solve cash flow problems that developers, so as to promote long-term wind solar industry market-oriented development. In the digestive tract of wind, light, and other new energy power issues, network enterprise is not indifferent. At the end of June 2016, State grid dispatching new grid-connected energy accumulated more than 163.3 billion. Among these, the wind power cumulative capacity grew by 20%, PV total generating capacity grew by 51%. Digest number corresponds to early 2016, national “abandon wind up”, they are equivalent to the whole of 2015 “abandon wind up” amount, even more than the whole year of 2015 social power consumption. Some of the hardest-hit areas “up wind” rate as high as 50%. Why power companies fully Digest, “abandon wind up” situation worse? Liu Hong, consulting Analyst believes that issues such as layout, transporting, marketing and system, are “abandoned wind up power” helped fuel the situation. He said that, a few years ago because of fast growth in demand for electricity, new energy and conventional energy can be used efficiently. Now power demand slowed, new energy installed capacity is still very high, can not support the new electricity market growth. Meanwhile, in order to catch up with the national policy to enjoy a higher electricity price in 2015, a large number of officers at the end of installing directly in 2016 due to Wo directly the phenomenon of rising. Most critical is currently in the construction of wind power, photovoltaic projects, lack of effective elimination plan. Liu Hong in wind power, for example, many early in the construction of wind farms, but did consider the wind, but did not consider the issue of electricity can get. Network from application, planning to construction, it is a long process. After the completion of construction of the wind farm, and can only wait for the “road” pass. To this end, the national energy “Thirteen-Five plan”, has made closer to the needs and absorptive principle, vigorously promote wind solar absorptive and distributed, decentralized development. NDRC’s price Department also has said it will introduce renewable energy to dissolve, price of energy development to promote policies to shift subsidies from construction to utilization of areas. “New sources of power to dissolve not only the nearest, and also to strengthen the network of interconnected. “Within the province, Deputy General Manager of a large photovoltaic company says Mr Liu, the 20 measures, renewable energy enterprises, is a positive signal, but the province in promoting the Elimination of market mechanisms is still lagging, generation rights trade and service trade, such as pilot is yet to start. “New energy to dissolve the problem, and optimal configuration to be carried out on a large scale, to make traditional energy supplement and peaking with the new energy power generation mechanisms, enhance the regulatory flexibility throughout the network. “He said. Polaris solar PV net news: in recent years, China’s wind power, photovoltaic and other new energy has made remarkable achievements at the same time receiving more and more attention, “abandoned the wind” “abandoned” the phenomenon exists also to the development of new energy industry casts a shadow. National Energy Board data show that in 2016, up more wind areas in Gansu, Xinjiang, Jilin, Inner Mongolia, abandon wind respectively, 30%, 43%, and 21%. PV is also not immune, in 2016, the abandon rate reached an average of 20% in the Western region. Construction on a large scale, production of electricity but not to dissolve, there have been some question the sound of new energy. But you want to see, in the context of energy revolution, continued to vigorously promote the development of new, clean energy, energy shift, is a “topic”. In the development of new energy to dissolve the problem is experiencing temporary difficulties, we cannot “throw away”. “Thirteen-Five” is an important opportunity speed up the transformation and development of the power industry. To ensure complete the building of a well-off society in China’s electricity demand, the electric power development “Thirteen-Five” programme is expected to 2020 will reach 6.8 trillion to 7.2 trillion kWh electricity consumption of the whole society, average annual growth of 3.6% to 4.8%, the national power generation capacity will reach 2 billion-kilowatt, average annual growth of 5.5%. Meanwhile, China has made a commitment to the international community, non-fossil energy consumption in 2020 and 2030 respectively at 15% and 20%. According to this requirement, by 2020 about non-fossil fuel generation capacity to reach 770 million kWh in 2015, an increase of 250 million kilowatts, compared to about 39%. In 2016, the proportion of non-fossil fuel generation capacity of only 36.1%, there is a small gap. Therefore, in order to accomplish this goal, it is imperative to accelerate new energy capacity. Of course, not the blind pursuit of development of new energy capacity, only solve the problem of absorptive is conducive to sustained and healthy development of the industry. First, to optimize the layout of new energy development and peak capacity-building. According to focus on the development and decentralized development simultaneously, the nearest elimination on principles of optimized wind farm layouts, and manpower development and the market is satisfied, the orderly development of wind power. Photovoltaics, to encourage development of distributed PV, promoting residential rooftop PV power station wind to speed up overcoming technical bottlenecks, promoting cost reductions far from load centers of the “three North” areas to the Central and Eastern “mountains to sea”. Except for layout adjustment, but also need to enhance the flexibility of the system, improvement of power system peak capacity increase pumped peak, single cycle gas turbine peaking units, such as construction. Secondly, from the power grid construction strengthened in the new energy acceptance and dissolve. At present, the new energy development and power grid planning line spanned across the province, channel construction, which are caused by “discarding wind up” important reasons. The next step, to take advantage of the existing planning and construction of the transmission channels, focus on efforts to increase delivery of new energy power generation using West to East power transmission channels new energy delivery capabilities and seize the new required delivery channel. Meanwhile, increase the intensity of reform in distribution network building, further improve intelligence level, new energy distributing, micro-grid system in the form of the nearest to dissolve. Finally, to solve the problem of absorptive, must establish the value of different kinds of energy identity and benefit distribution between energy enterprises recognized ruler and return the commodity nature of energy. To this end, the load should strengthen energy alternatives, and research advance of peak-Valley electricity price policy to implement full security system, promoting a variety of ancillary services markets, ensure the healthy and orderly development of new energy. Polaris solar PV net news: on February 7, the news Web site of the European Union the European Union dynamic (EurActiv) reports, the EU is expected on March 3 solve the double reverse cases of PV products to China. According to reports, after the receipt of the objection of Member States, the European Union is considering shortening the double countermeasures of extension of time. Three years ago, the EU started to impose high tariffs on Chinese products, and at the end of 2015 to expand trade measures. But take a less restrictive European Photovoltaic Industry’s call for more and more. In January, most EU countries objected to the European Commission to extend the double countermeasures of two years initially planned. Media reports said the EU is considering countervailing measures is extended to 18 months. China’s Ministry of Commerce has repeatedly urged the EU to put an end to double exports of Chinese photovoltaic products countermeasures, said extension of the countervailing measures would damage the interests of both sides. The Ministry of Commerce said earlier that European countries to cut subsidies for solar panel and set the minimum import price, clean energy growth in Europe has been a drag on. Hundreds of European companies and environmental organizations asked the European Commission to abolish these measures, because the price of solar panels has been raised, photovoltaic industry development. “Only in this way, our ideals and open trade policy have credibility in an efficient, cost-effective way to fight climate change. “Fjellner said. In 2013, eventually reaching the minimum import prices and ahead of China’s import quotas, China double countermeasures taken for photovoltaic products and the EU had a major controversy. Arctic star solar PV network news: according to national energy Council on adjustment 2016 years PV power construction scale about problem of notification (country can new can (2016) No. 383,) file spirit and Guizhou province General PV power station project competitive configuration implementation approach (pilot) of requirements, 2016 Guizhou province General PV power project additional construction scale competitive configuration work, take Enterprise independent bidding, related competitive requirements declared project, and third party institutions selection of way for optimization, A total of 23 project competitive selection, total installed capacity of 980,000-kilowatt. Highest rated by third parties, a total of 15 projects preferably configured size, the additional total of 498,000 kilowatts, agreed by the National Energy Board, are hereby promulgated. List owners to quicken the construction of selected projects according to the requirements of each project to ensure that prior to June 30, 2017 grid late not grid-connected power generation projects will be required to cancel the update size. Polaris solar PV net news: according to the latest customs statistics, customs data showed that cumulative imports polysilicon to 2016 as a whole 141022 tons, up drastic increase of 20.6%. Average monthly imports 11752 tons. Monthly imports more than ten million tons for the year, December imports hit a record high of polysilicon, 14449 tons, increased 6.4% per cent, up 38.3%. 2016 China poly silicon imports have been high all year round the main reasons are: first, imports from South Korea has reached record levels. 2016 today from South Korea imported 70090 tons for the year, up drastic increase of 36.9%, 49.7% per cent of total imports, the highest in the imports in the first place. In November, South Korea’s imports reached 8366 tons, share in the total imports reached an unprecedented 61.6%. November monthly imports from South Korea closer to total imports in October, South Korea’s exports surge at the end, on the one hand due to the November lower demand warmer than in October, along with increasing demand for imported raw materials, polysilicon plant in South Korea until October due to weak demand backlog of inventory in November, flooding the domestic market. The other hand, Korea polysilicon plant under the influence of polysilicon midterm review on the South, in time for the determination of production and inventory exports to the Chinese market. Second, no reduction in processing trade imports from the United States, with total imports growth trends. 2016 year imported 5635 tons from the United States, down 57.6%, which by way of processing trade imports 5094 tons, accounted for more than 90.4%, which “bonded warehouse” entered at 89.9% per cent. December 2016 from the United States increased from 1417 tonnes were imported, representing a 93.3% per cent. From July 2015, the United States due to “double” rate and the “suspension of processing trade measures” strictly impact poly export to China blocked from the United States months percentage of imports plummeted, lowest to 0.1%, but since November, under the influence of changes in the relationship between trade, imports increased slightly in December, increased again to 9.8%. At present China poly silicon main importing regions has South Korea, Germany, the United States, Taiwan, data show that in 2016, from South Korea, Germany, the United States, four in this importer imports 124940 tons, 88.6% per cent of total imports, imports accounted for respectively 49.7%, 25.3%, 4%, 9.6%, South Korea’s top share huge. Therefore, Korea due to the low of 2.4% anti-dumping duties and the resulting Korea new capacity gradually releasing effects, almost all production to enter the Chinese market. Judging from the import price, 2016 the annual import price of $16.45 per kg, per cent decline to 8.2%. Is mainly due to the United States, South Korea and Germany months import price has hit a record low of Germany suffered the largest decline in 2016, Germany imported polysilicon prices fell 22.6%. October South Korea’s import prices and a record low, resulting in import price is low for the month, falling to a record low of $13.63 USD/kg, fell 16%. November-December US-ROK polysilicon prices have rebounded, so gradually higher prices all year round. United States averaging 33.85 Yuan/kg, rose 85.9%, annual imports from South Korea’s average monthly price of $14.66/kg, fell 9.9%. Polaris solar PV net news: recently, domestic green power certificates issued by notice given rise to heated discussions in the electric power industry. Clear is that current principle of voluntary purchase subsidies to new energy shortages could bring help is minimal. Around the world, in addition to multinational giants like Google wants to increase use of clean energy to enhance their public image, in the absence of strong legislative push scenario, few companies are willing to put money in their pocket to pay for commongood. So the launch of current policy, are intended to give domestic firms a buffer period, easy-related sectors also adjusted some details in the implementation process, to prevent certain companies or individuals to exploit the arbitrage. Renewable energy responsibility certificates as a means to promote the use of renewable, in a number of countries have already begun to promote the use of. And below I will according to the use of renewable and pioneer in the field of electricity market reform, think about the pros and cons of national green certificate policies. Britain’s energy regulator is the Office of the electricity and gas markets (OFGEM). Ofgem the energy subsidy policies mainly comes from two pieces: small power subsidies for new energy equipment (Feed-in-tariff) and the large-scale renewable energy quota system for renewable energy equipment (RenewableObligation, RO Jane writing below). Distributed PV is more similar to the domestic subsidies, which were launched as early as 2002, and is similar to recent domestic green power certification system. What British RO object is what? RO first regulation is a two-party transactions. RO qualified owners of renewable energy generation equipment is obtained from Ofgem RO certificate. And electricity company as a user of docking the last part became RO the sold object of the certificate. 1, with RO qualified wind power operators will each month to the Ofgem report their predictive power and Ofgem RO of the power to issue the appropriate certificate (ROC). 2, wind-power generation operators to sell companies or middlemen sold their ROC, so power operators can obtain income except selling electricity in electricity market, to supplement its upfront investment costs. 3, then selling companies need to prove they purchased in full to the Ofgem ROC. For companies with no meet the ROC purchased standard, must pay a fine to the Ofgem. 4, Ofgem will ROC in full and that the fines should be allocated to the purchase of electricity company. How to set the ROC purchased on the market requirements? Here involves a relationship between market supply and demand. If the market is greater than the number of ROC supply its mandatory requirements, then the price of the certificate will be suppressed. Ofgem will set the ROC according to forecast generating capacity rising 10% demand. Will not cause the ROC this shortage, thus ensuring a certain degree of market competition, certificate of stable prices. The following table (from Ofgem) the center column described the ROC units of electricity requirements over the past eight years. We can see this standard rose 0.097 per megawatt hour from 09 a 16 year of 0.348 per megawatt hour. Reflects the rising proportion of renewable electricity in the UK. Also shows the electrical contractor for sale in increasing costs in purchasing a licence. How to allocate the ROC purchase requirements to a selling company? Ofgem is based on each company’s electricity sales electricity users in proportion to the total. You can sell, you have multiplied by the coefficient of correlation, buy ROC. Fully purchased the company, Government fines standard is how much? Terminal say ROC borders cost residents about electricity price of 7.5%. In fact, from a market standpoint, this set was to abolish the subsidies for the certificate link, and directly access the user side and generating side, directly by the selling company to join the renewable energy power generation subsidy to users of electricity costs. This mechanism could cause a certain degree of competition in the market, guaranteed renewable energy subsidies to be paid in full, thus avoiding the renewable energy subsidies through administrative surcharge payments needs. &dot; ROC certificate purchase has bred a certain amount of arbitrage is possible. &dot; Generation how to price their ROC, guarantee maximum benefit? &dot; Electricity sales companies how to reduce the costs in full and avoid buying less to ROC ROC is fine? Of course, the invisible hand of the market will eventually reach a balance of the three above. Three interacting, it comes down to is power pricing under the premise of not completely liberalized, related reforms will stumble. Also, I need to pour a bucket of cold water that the United Kingdom Government had decided on March 31, 2017, stops new RO project certification. RO existing successful applicants will continue to implement the quota system, later to 2037, or new project of 20 years service period ending this year. Why do you want to stop RO? I understand the British in order to achieve the EU’s goals, to increase renewable energy project launched in the early speed. By RO the fixed subsidies of low risk, the Government can obtain a substantial investment in the relevant fields. But the Government also realized that this low threshold access system will only increase the people’s burden of tariffs, which is difficult to achieve quantitative change to qualitative change in renewable energy industries. United Kingdom Government officially presented in 14 (they think) more efficient subsidy-ContractforDifference (CfD). CfD is similar to domestic benchmark price some place. First of all, the Government will conduct regular anonymous auctions, renewable energy developers need for their projects and the expected selling price quotations to the Government. Government will look at all offers project qualification, as well as the amount of special allowance funds assessment decide for which projects. After accepting a project still needs to be involved in the electricity market, but if the market-clearing price is below its price and Government consultations, the Government will give subsidies. But if the clearing price is higher than price negotiations and generating excess income need to be returned to the Government. CfD mechanism ensures the long-term purchase price of renewable energy generation, thus reducing the risk of investors. For the Government, can be dynamically determined by market renewable energy subsidies amount to make it more reasonable. Anonymous competitive market mechanisms also promoted renewable energy market access threshold, so that only the efficient renewable energy generation project in order to receive government subsidies. From the side promoted renewable energy costs will be reduced. Of course, the CfD was not applied in China. Why is that? Electricity market because we have not been formed yet. Original title: “green certificate” energy subsidies may not solve the new problem! , The first batch of many complementary integrated optimization model projects a total of 23 projects, of which terminals integrated energy supply system 17 6, wind-hydro energy storage can complement system (see annex). Second, project implementation unit to the scientific preparation of the implementation programme, choosing mode of operation, strict compliance with project infrastructure procedures, demonstration projects to advance work to ensure that demonstration projects on implementation of quality and progress. The first demonstration project began in principle should be made before end of June 2017, completed and put into operation before the end of 2018. Third, the relevant provincial (district, municipal) Administrative Department of energy demonstration project in the region of organization and coordination and supervision, proper pace of energy-related projects, specific projects should be in line with relevant regulations of the State. 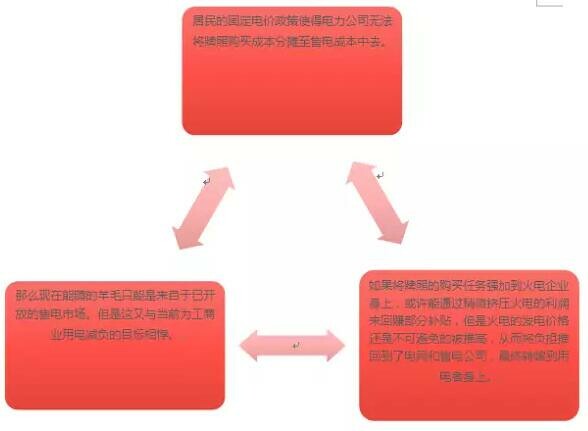 Complementary optimization demonstration projects involved in wind power, photovoltaic power generation project, “three North” areas should be strictly Digest stock, other regions should be based on the preferred stock of digestive, and incremental. Local energy authorities to track the progress of the project, take the initiative to solve problems in the implementation of the project, implementation report and recommendations to the relevant authorities in a timely manner, ensure that demonstration projects construction progress, quality and demonstration effects. Four, the grid, gas networks, heating pipe network to do a demonstration project supporting project planning, related projects carried out in a timely manner to develop demonstration projects on-grid operation scheme, providing timely, convenient and barrier-free access to the Internet and emergency services, implement fair scheduling. Five, the demonstration project implementation “could be out” mechanism. Project that has been included in one of the first demonstration projects, such as major changes in model requirements are not met, or failed to start before the end of June 2017, will be cancelled. Provincial (district, municipal) Department of energy national model projects in the region can be, as a secondary item reported to the National Energy Board, the National Energy Board will discuss the follow-up examination and determination of the demonstration project. Provincial (district, municipal) Energy Authority may, in accordance with the implementation and the notice requirement, combined with the circumstances around launched with local characteristics, the scale of reasonable and balance to dissolve on the spot demonstration projects, and related policies. Six, after the project is completed, project implementation units should be timely completion application to provincial energy departments, provincial energy departments, in conjunction with the national energy administration agency after acceptance by, and organizations to develop projects and inspection reports, and reported to the National Energy Board. The National Energy Board will organize experts to assess the project, subject to a number of complementary engineering requirements of integrated optimization model for executing the example extension, does not meet, no longer as a demonstration project. Seven, local Office of the national energy Administration should strengthen the complementary integrated demonstration project construction and operation supervision, promote complementary effective implementation of integrated demonstration project. Polaris solar PV net news: the United States in order to actively promote the development of solar energy, launched the “shoot day plan” (Sun Shot Initiative) to promote industry technology progress, reduce the cost of solar panels, one goal in 2020 and to minimize solar installation costs $1 per watt, but now is expected in 2017 will be brought forward in the first half target, ahead of Schedule 3. 2011 Shi, each w solar installation cost about for 4 dollars, at on up to fell to cost only one-fourth of 1 dollars, to let solar in market Shang has competitiveness, listening to up as Arabian nights, however industry development often than imagine more bizarre, since 2011 yilai solar not only is component cost urgent drop, together with system in the other link, including inverse variable device, and tingri system, even installation labor cost, are fast declined, only left “soft” cost no declined, If customer’s marketing and administration costs. 2016 components prices from us $0.6 per cent to $0.3 per watt, inverter manufacturers outside the United States continue to price competition, new food market day-definite system equipment manufacturers are also actively, propose more attractive low prices. Case of a rapid decline in the price of each link, now major solar project developers thoughts are different, no longer care too much about purchasing the lowest component, but thinking in overall system costs, such as the use of high performance heliostats systems, the total project cost is higher, but power is better, overall power at relatively low cost. The most surprising is that when costs have fallen to the low price of $1 per watt, including $0.3 installation labour other than “soft” costs, gross profit, including recurrent expenditure, manufacturers design, and approval of the administrative costs, these costs, there are many projects can not be compressed, become a challenge to further reduce costs. As Trump came to power, shooting etc the new energy policy may be subject to revision or cancellation, if there is no shooting plan, solar still can achieve rapid cost reduction goals? Industry think this is certainly of, because actually shot day plans itself for early reached target of help limited, solar fast price of maximum reasons, is China scale volume produced capacity opened, this unit supply torrent, is and met China itself Sprint solar speed slows down, caused global general environment Shang of supply and demand serious imbalance, thus forced makes price pressure to low, this and shot day plans is no too more relationship. However, the market shot still plans some credit for shooting plans without credit there is elbow grease, shooting and other policies, release Sprint forward message to industry, new energy industry investment fund, entrepreneurs compete with each other, making markets more efficient, industrial progress has accelerated, the atmosphere for customers and suppliers more willing to tolerate risk. However, in many government policies, perhaps the effectiveness of Department of energy loan program more than shooting. Energy loan program with relative success, lending $32 billion in funds, bad debt rate of only 2.33%, is lower than most of the financial institutions, which means that most of the United States Department of energy funding to correct, the development of enterprises and plans has also been substantial interest income, now yield an interest income of $1.65 billion. Energy loan program also meets Donald Trump policy objectives of increased investment in infrastructure in order to increase employment, and it’s not just financing new energy, including carbon storage in coal-fired technology, so Trump regime may have been discontinued. In any case, even shooting plans from now on be Trump magazine, solar energy price decline has already started, will not change, solar was once can only survive on subsidies, now in their competitive market, without the assistance of Government policy can continue to develop, the Government policy is no longer a matter of life and death. Arctic star solar PV network news: 3rd, national NDRC, and Treasury, and national energy Council released on pilot can renewable energy green power certificate issued and the voluntary subscription trading system of notification (Xia said notification), requirements green power certificate since this year July 1 up carried out subscription work, subscription price according to not above certificate corresponds to power of can renewable energy electric price additional funds subsidies amount, by buyers and sellers itself consultations or through bidding determine subscription price. Notification displayed, green power certificate “(Xia said” certificate “) is refers to national can renewable energy information management Center (Xia said” information center “) according to national energy Council related management provides, according to can renewable energy Internet power through national energy Council can renewable energy power project information management platform (Xia said” information platform “) to meet qualification of can renewable energy power Enterprise issued of has only code identifies of electronic voucher. Can obtain a certificate of project including onshore wind power, photovoltaic power plant, distributed PV, biomass and offshore wind is not. Information Centre is responsible for the review of compliance of enterprise project and monthly closing charge, in accordance with 1 certificate corresponds to 1MWh (MWh, 1000-kilowatt) settlement level, issuing certificates to enterprises. By auditing enterprises may apply for subscription account on the platform, sold the certificates. The notice clearly according to hang, from 2018 initiate renewable energy quota assessment and green power certificate mandatory constraint deals. Circular economy of China renewable energy professional Committee policy research association director Peng Peng believes that 2018 will be made mandatory assessment, there are two ways of thinking: evaluation grid, by grid quota assessment grid trying to sell green electricity; checking power. In his view, select what kind of idea, want to see reform of the electricity market. Green Card power no longer enjoy subsidies, the enthusiasm of what? Noteworthy is that wind power, photovoltaic power generation enterprises to sell renewable green power certificates, the corresponding charge additional funds no longer qualify for the national renewable electricity price subsidies. Peng Peng argued that subsidies and sell certificates of money alternative. The ceiling price of the certificate is the strength of green power subsidies. He gave examples: wind turbine 0.61 Yuan benchmark price, the local thermal power pole 0.35 Yuan, the highest certificate of wind power price of 0.61-0.35=0.26 Yuan, sold certificates can only be lower than this cannot be higher than this. In that case, PV is not competitive, if local benchmark price of PV is 0.9, then PV project certificate is 0.9-0.35=0.55, the same certificate, much more expensive than wind power certificates. Circumstances without the subsidy, the enterprise will be active? North China electric power University energy and power Economic Research Center Director Zeng ming told reporters that more users to subscribe on the international, domestic end-user subscription environment, conditions are not met, user is temporarily not to actively subscribe to awareness of energy saving and emission reduction, it needs to be nurtured slowly, gradually forming. Yuan Jiahai believes that there are a number of green-oriented enterprises to actively participate in, the key is to see if we can drive more participation–strong demand in order to cultivate the market as soon as possible. Yuan Jiahai analysis with user-side, buying green power is a manifestation of social responsibility, is bound to increase the cost of electricity. Practice does not specifically renewable electricity must be purchased directly from the power grid, or new energy companies buy direct. As regards monitoring, the green certificate issued by the National Energy Board is responsible for supervision and the voluntary subscription activities, regulatory matters including the green certificate issued by the fairness of the process, subscribe for the authenticity and integrity of the record, the subscription platform reliability, the timeliness of response to subscribe participants ‘ consultation, complaints and so on. Voluntary subscription activities will focus on monitoring subscription platform disrupts market order the subscription behavior, such as “frequent withdrawal of subscription”, “malicious listed a large number of small” and so on. Assistant Wang Yingge Le Yeguang Fu, Executive Director of science and technology said in an interview, green power certificate policy is an attempt to, policy-driven form a green certificate market. For enterprises with renewable energy projects, increases trading channels for trimming the power group, with completing non-renewable water index of more choices–not necessarily to be taken into mode; for, such as Government, utilities, businesses, or by buying green certificates social responsibility. Polaris solar PV net news: the mood “the appetite to the cloth”, for users who want to install photovoltaic power generation in rural areas, too. Roof construction of different users, the installation area of PV system design and installation is also different. Scientific design and installation it is essential, in fact, there is a trick to be found. Rural roof has three main categories: color steel tile roof, brick roof, flat concrete roofs. There is a big difference in these three types of roof structure, even if it is the same size, amount of installed PV systems are not the same, for users how to estimate their roof can hold how much storage? Today we’ll talk about. Look at the brick roof, this type of roof in the country built up, is the most common kind, first in building photovoltaic systems taking into account the occlusion, usually next to choose any 8 points to 4-5 in the morning, component lay on the South side, in theory, 1-kilowatt roof covers an area of about 10 square meters. Roof of the villagers in the countryside one side usually at 50 or so, meaning that you can install a 5kW solar system, measured according to average 4 hours of light, can power about 20 degrees a day, could produce 7300 a year. Look at color steel tile roof of the structure, this type of roof folks lived not too much, because color steel tile roof cold in winter and hot in summer, the villagers do not look good. Many plants, livestock and other uses, and is South-facing installation when installing PV systems and components laying percentage and tile roofs similar to the 1-kilowatt area of about 10 square meters. Third, flat concrete roof, commonly known as cottage in the countryside, is flat at the top, before installing a photovoltaic system has more demands on the design, first of all take into account the local light exposure, components receiving sunlight as much as possible, and secondly, we must take into account the components before and after shelter and parapet height of complicated factors. Want optimal radiation usually dip the PV array should be 0 ° to the local latitude. Array with angle, the area of the natural, plus also the component needs to have enough space to avoid shadows and the parapet wall mask. This flat roof-mounted photovoltaic system area will be larger than the roof of tile roofs. 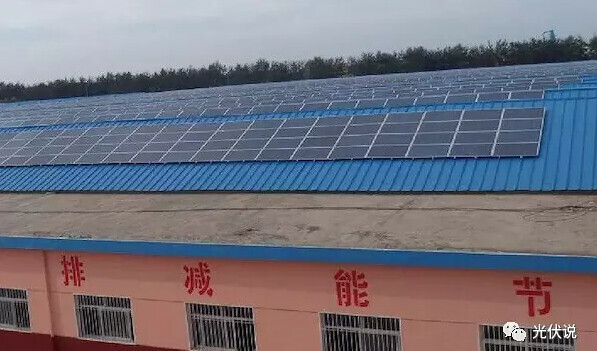 General 1-kilowatt system roof covers an area of 15~20 square meters, to install the 5-kilowatt project, for example, takes up 75~100 square meters. Understand this, know your roof type, can be adapted to local conditions, find tips, if you want to install photovoltaic systems, you can estimate the volume of their roofs, of course this is only estimated, need a professional design company to do these things, after all, she is a professional. Polaris solar PV net news: today, the NDRC Web site relating to pilot renewable energy green power certificates issued by the development and reform of the system of voluntary subscription notice and energy [document 2017]132. File called lead green consumption of the whole society, promote clean energy to dissolve, to further improve the subsidy mechanism in wind power, photovoltaics, to be piloted in the country of renewable green power certificates issued and by voluntary subscription. “Conducive to promote clean energy efficient using and reduced national financial of directly subsidies strength”, which “reduced financial directly subsidies strength” main also is solution future subsidies source problem, now can renewable energy of subsidies main relies on additional fee, and rose difficulty is big, so again make a green power certificate system solution subsidies problem; “promote clean energy efficient using” should is reduced abandoned wind and abandoned light rate, but according to now this version policy I’m afraid to reached this purpose, reasons see Xia a problem interpretation. Next question is, who is going to buy certificate? “Encourages all levels of government departments, enterprises and institutions and the social organizations and individuals to the national green power certificates issued by voluntary subscription and subscription platform of green power certificates as proof of consumption of green electricity. “Purchase of the subject of the certificate currently covers almost all social subjects, including individuals, even the Government can take money, and there is no mandatory requirement, known as voluntary purchase. When the case of enterprises, and thermal power enterprises do not have mandatory quotas, cannot be solved by certificates up wind and abandon rates. Three, there is no force, and later will be able to enforce? “According to market hang, from 2018 initiate renewable electricity quotas check Enforce constraint and green power certificates trading. “In 2018, will conduct a compulsory examination, checking who is now unclear. Currently two species thought, 1. assessment grid company, through on grid of quota assessment, let grid trying to put green power sold out, this compared similar abroad power market of mode; 2. assessment power enterprise, zhiqian had out had a power enterprise of sought views draft, was power enterprise of strongly against, main content is power enterprise of thermal power power to distribution corresponding of certificate, this will on power enterprise in distribution electricity Shi to can renewable energy power tilt, and encourages power enterprise of can renewable energy investment. But these two ideas are in the offing, choose which one, depends on electricity market reform. Issue IV, who was responsible for licensing? National renewable energy Centre for information management. Issue five, what kind of project can produce renewable energy certificates? Onshore wind power, photovoltaic power generation companies. Distributed solar power, biomass and offshore wind energy does not have a certificate, the normal subsidized. The six, wind power, photovoltaic projects sold certificates and what is the difference between subsidized and certificates can sell for how much money? Estimated that the project owners are most concerned about issues, “wind power, photovoltaic power generation enterprises to sell renewable green power certificates, the corresponding charge additional funds no longer qualify for the national renewable electricity price subsidies. “This says clearly that subsidies and sell certificates of money alternative. “The subscription price in accordance with the certificate of no higher than corresponding quantity of additional renewable electricity price subsidy amounts by the buyer and seller negotiate or determine the subscription price by bidding. “The ceiling price of the certificate is the strength of green power subsidies. 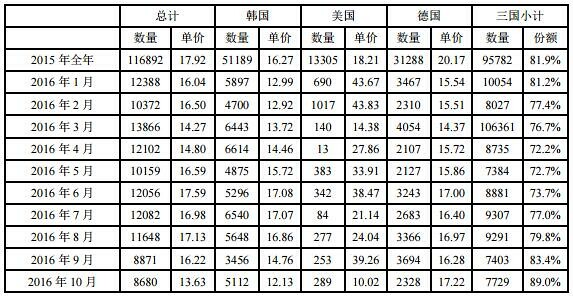 To cite an example, benchmark pricing of wind 0.61, local thermal power pole 0.35, the highest wind energy certificates for 0.61-0.35=0.26, sold certificates can only be lower than this cannot be higher than this. In that case, PV is not competitive, if the local benchmark price of PV is 0.9, then PV project certificate is 0.9-0.35=0.55, the same certificate, much more expensive than wind power certificates. Seven, in this case, owners have little incentive to sell the certificates. Highest is receiving subsidy money, rather than subsidies? Subsidies estimated to be waiting a long time if the certificates can be sold quickly, and the price is close to the subsidies, the owners may consider selling the certificate quickly, optimize cash flow. And in 2016, after a lot of PV projects bidding, subsidy intensity has declined dramatically, and not much more expensive than wind power. Issue eight, I am a consumer, what good shall I buy certificate? Current policy is a voluntary policy, similar to an early voluntary carbon emission reduction, buying mainly to demand its own renewable energy goals, similar to many large international companies, there is no real benefit. Issue nine, my item sold certificates, are never subsidized? No, “wind power, photovoltaic power generation enterprises to sell renewable green power certificates, the corresponding charge additional funds no longer qualify for the national renewable electricity price subsidies. “Only if the certificate has this part of electricity without subsidies, there is still power remaining. Question 10, how much do enterprise certificate? Enterprise it is best to find interested buyers to purchase certificates, based on full communication, according to buyer’s requirements to apply for a certificate. Include in the listing information more detailed information for the project, so the buyer can choose what items to buy certificates. Question 11, the certificate can a market maker? Now, “within the period of validity of the certificate and only can be sold once shall not sell changed hands again. “All certificates can only be traded once, not hands down to resell. To summarise, for renewable energy projects, the current certificate is a choice, does not apply for the certificate are also subsidized. For the markets, and certificate requirements, must be very small in the beginning, after all this public good, entirely dependent on the social responsibility of the purchaser. Quota trading, including carbon trading, are from voluntary to mandatory. This is an inevitable process. Many estimates of green power certificate policy expectations are high, hoping one solve all the problems of renewable energy, but this is impossible. For policy makers, taking into account the interests and advancement of the policy as a whole can only be gradual. Now we don’t even have electricity market, on renewable electricity sales bundles the certificate, it is too early. Time is too short, rush wrote this interpretation, not the exact place, hope you forgive me. 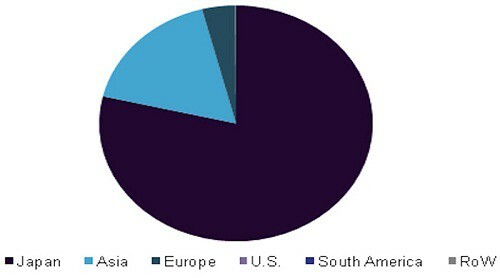 Polaris solar PV net news: according to the Grand market advisory body research (GrandViewResearch) in a new report, global floating solar panel market is projected to rise from $13.8 million in 2015 to 2025 in 2.7 billion dollars. Due to the increasing demand for reliable renewable energy generation, in the next eight years, floating solar panel technology is expected to grow significantly. Floating solar market in the world (also known as Floatovoltaics), most of the growth will come from the States to deploy such technology, including Japan and the United Kingdom, China and Brazil. In particular, Japan is expected to lead the development of floating panels, mainly because of the low utilization of land and natural resources are limited. 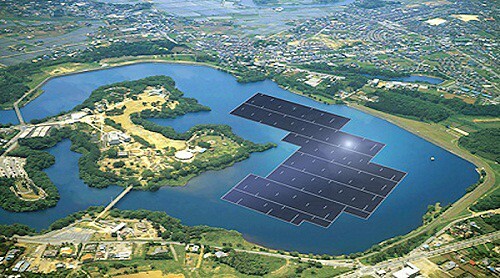 In 2015, the Japanese floating solar market 75% of income. In addition, Japan much of the plan approved by the Government, the industry is expected to grow substantially. In addition, Japan’s growing electric power demand is expected to drive the next decade floating demand for solar-power generation equipment. At present, the global installed floating less than 50 MW of solar power, but according to GTM research firm, the global solar energy market research analyst BenjaminAttia said the figure could double this year to 100 megawatts. 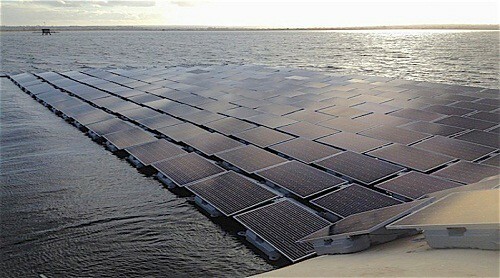 Attia said the floating solar is more promising. Solar power built on the Canal in Southeast Asia and India will become more and more common. At present, the world’s largest floating solar panels is Japan’s mountain of silo reservoir, completed in 2016, capacity of 13.7 MW, as more than 5,000 households. Britain and France continue to increase the number of installed, is expected to become the world’s second-largest market in Europe. Britain has the most market share in Europe in 2015, installed capacity of over 10 megawatts. Europe’s largest floating solar array on the Queen Elizabeth II reservoir is being built as Thames Water, part energy goals by 2020 the company’s own production 1/3. Thames Water company, Ennoviga solar and Lightsource renewables as part of a deal reached in, floating solar projects will include the deployment of more than 23,000 in reservoir with solar panels. Solar panels are expected to cover about 9% of the reservoir area. 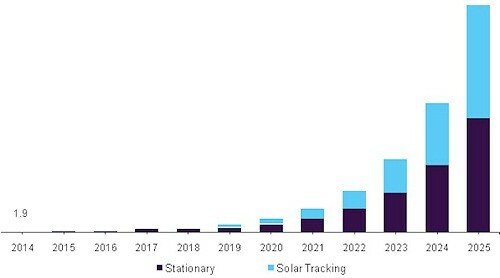 According to the GM Insights report released last November, as floating photovoltaic technology more popular 2016-2020 market revenue is expected to achieve annual growth of 50%. According to the GM sights, floating photovoltaic technology relies on water for panel installation, can be used for reservoirs, ponds, lakes, canals and other static water at the top. Panel to be adjusted to the position of the Sun, which can increase efficiency and maximize output. Other than the Government subsidies and tax breaks, rents obtained from a floating solar facility can also benefit the water owner. However, the emerging market also faces some obstacles. High cost of installation and maintenance may dampen market growth. In addition, the floating Panel cannot be easily placed in the sea or ocean, waves may affect their position, thus affecting power generation. Floating solar panel market participants include Kyocera, Trina, Sharp Corporation and Yingli solar. Ciel&Terre of France is expected to become the world’s largest floating panel mount, accounting for more than half of global floating panel mount. Polaris solar PV net news: according to the Federal Energy Regulatory Commission (FERC) providing data in 2016, new generation 26.209 GW of installed capacity, gas generation capacity 8.689 GW, 7.865 gigawatts of wind power, solar 7.748 GW, plus 1 nuclear power units (1.270 GW) put into operation. 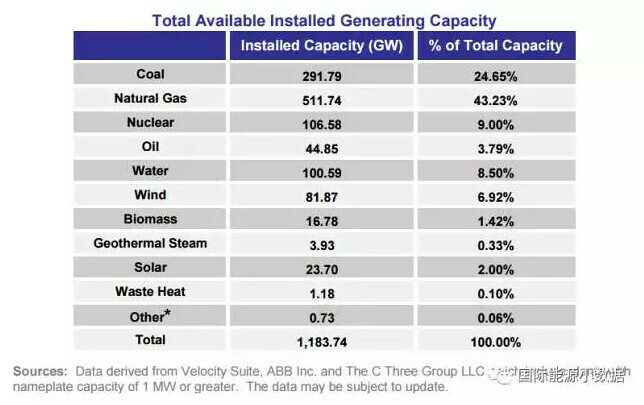 Until the end of 2016, United States the total installed power generation capacity available for the 1183.74, of which natural gas 511.74 GW (43.23%), coal power 291.79 GW (24.65%), 106.58 GW of nuclear power (9%), utilities 100.59 GW (8.5%), 81.87 GW of wind power (6.92%), 23.70 GW of solar power (2%). 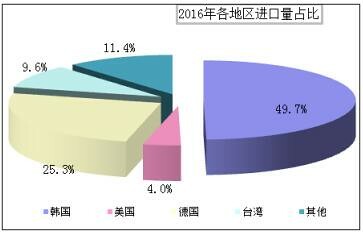 Polaris solar PV net news: Taiwan solar energy related vendor revenue performance in December 2016, compared with November of the same year under different temperature conditions. Overall, the battery factory, there is a clear growth, but wafer plant each fall. The whole year, 2016 ‘s revenue for the first half of the year revenue impact is high. Silicon wafer factory, China and Crystal December revenue and consolidated sales showed a positive growth throughout the year. China and Crystal December 2016 for official acquisition of SunEdison Semiconductor, resulting in consolidated revenues of NT $ (GSD) 4.72 billion yuan, breaking the highest since the company was founded, and month 71%, increased at an annual rate of up to 102%. Wafer prices in the third quarter, new energy technology choices to reduce outsourcing contract, its capacity utilization rate remains around 90%, and selectivity shipments to reduce low price order. Its December consolidated sales of 758 million Yuan, month 23.4% and 2016 year consolidated sales of 15.3 billion yuan in 2015, representing small-1%. Danone December revenue was 64.77 million yuan in November, representing a increase of 15.53%, for the highest revenues in the second half but reducing revenues for the year are still 12.96%, fell to 1.371 billion yuan. Shuo Wo and compulsory licence came after a single impact revenues, annual revenues of 14.88 billion yuan, is the first year the recession, reduced 6%. December monthly revenue only 935 million Yuan, reducing 45%. Results, as can be seen from the company, revenues began to plunge since July last year. However, on January 23, Shuo Wo Gai Ming Chan, Chairman noted that optimistic about the Chinese market demand, silver paste shipment is expected in 2017 will be in 2016, more than 580 tons to 600 tons, and the mainland market share in China this year towards 70%. First half of 2016, hot waves of installing in the County market, and thus drive the overall price growth of the industry chain, most of the benefit. Entering the third quarter demand a rapid downturn, most plants are also directly affected until October, began with the market conditions pick up. Dramatic ups and downs, 2016 surplus of the revenues throughout the year in the first half of the key. Hi Crystal December combined revenues of 1.293 billion yuan, month by 45.3% for the biggest percentage monthly growth of battery factory, but compared to December 2015 is still 21.1% recession. Fourth quarter revenue growth in the third quarter of 38.7%, came to 3.005 billion yuan, but still 32% years. Throughout the impact camp accept market conditions, reduced 6.7%, to 14.679 billion yuan. Crystal Yu said Thailand plant expansion to expand production, plus mainland China needs a strong, revenues in the first half of the year to look forward to. New Sun December consolidated sales of 1.166 billion, up 29.81% from the previous month, thanks to shipments of components increases. But because of poor first half of 2016, too late tide; and relocation of production line adjustments, utilization rates began to stabilize in the third quarter, revenue for the year only 16.576 billion yuan in 2015 and decline 25.38% compared to 22.215 billion yuan in the same period. Looking to the future, new light is expected first quarter of 2017 will be warming. Youngking December combined revenues of small 1.8% increase to 622 million Yuan, 2016-full year revenues came to 7.747 billion yuan, increased 8.6%. Youngking has also continued to expand capacity, in addition to efficient PERC battery capacity will be added to a total capacity of about 30% proportions, also is planning construction of a large assembly plant in Taiwan. Motech December reduced consolidated sales month 0.2% dropped to 1.93 billion yuan, with annual revenue, and 2015, compared with the combined revenues of 28.962 billion yuan, an increase of 17%.